Oracle Application Express(Oracle APEX), formerly called HTML DB, is a rapid web application development tool for the Oracle database. Using only a web browser and limited programming experience, we can develop and deploy professional applications that are both fast and secure. 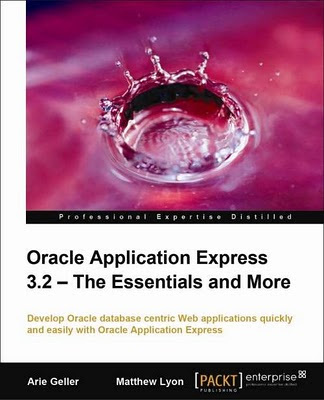 I mention a book titles "Oracle Application Express 3.2 – The Essentials and More" written by Arie Geller and Matthew Lyon. We can see Arie Geller on OTN Forums(APEX), He's helped many people. This book is an essential APEX for developers, web developers and who wish to learn web applications in the Oracle environment.